This weekend continued the search for a house! This process has moved a bit quicker than we anticipated, but it appears that we should take advantage of, pardon my language, this craptastic market. So....we are on the hunt for a house to gut and renovate! This search brought us through Saint Louis Park and Golden Valley. Situated in Saint Louis Park, on a fairly nice street, near the lakes and highway 100, I thought this home would have great potential. Until we stepped out of the car. We walked up the rickety old steps, and then decided we had to go up one at a time for fear of them collapsing (and we are not large people). We walk up the front door and realize that it is disguised. They have the front door covered with paneling so it looks like it is part of the house, and you can't find it. Strange. "Please be quiet, my renter, Lylette is sleeping in this room while recovering from a medical procedure. If you choose to go in this room, please be sensitive of her condition and do not look at her." FOR REAL? No way. A. There is a woman living in this dump? and B. Yuck. "You may notice that we have had a bit of a water problem. 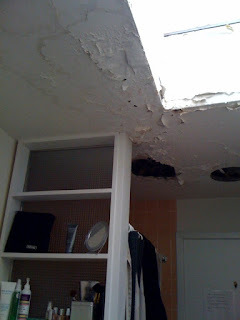 We have had the problem fixed and wanted to wait a year before repairing the holes to make sure it didn't happen again." Just a thought, but maybe then you shouldn't list your home for sale!!!! for $300,000!!! A few holes? This thing looked like the moon. The agent, the developer and Jeremy proceeded to the basement, where I am sure they have rented out the space to film horror movies. I went back to the front door, put my shoes back on and stood there. Fearing a poltergeist was going to jump out of the walls at me. 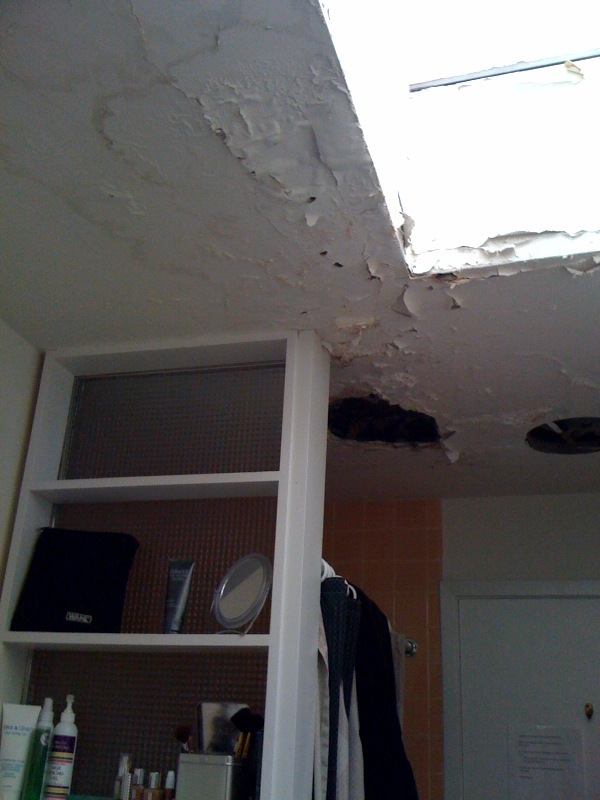 Or maybe that was just Lylette, the infirmed renter. Wow, sounds like a nightmare. But the worst houses are the ones you think are good until 5 years in and everything starts to fall apart.